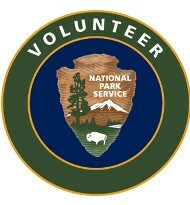 Support the park as a Volunteer in Parks (VIP): become a steward of your national park, enjoy the outdoors with like-minded people, learn about the park’s resources. There are as many rewarding ways to volunteer as there are volunteers. Join a special event or work day. If you have more time, become a Trail Blazer, Bike VIP, River VIP, help at the visitor center or contribute to long-term projects. Become a VIP and “Find Your Park” at the Chattahoochee River National Recreation Area. Record Breaking 2019 Sweep the Hooch ! The Chattahoochee Parks Conservancy and MTB Atlanta have applied for a $20,000 grant to resurface the mountain bike trails at Cochran Shoals/Sope Creek. The total estimated cost of the project is $50,000 and you can help us to make up the difference by shopping at your local REI Store and then placing your Vote in the Chattahoochee Parks Conservancy bucket. Based on the outcome of the local vote we could get an additional $10,000 towards our goal. Please be sure to vote by April 7th so that we can improve the trails at Cochran Shoals/Sope Creek.